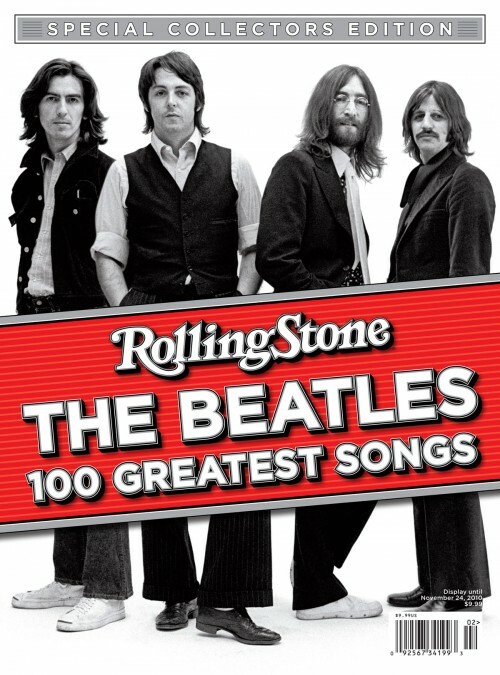 Back in September I posted on the Rolling Stone magazine special edition release called “The Beatles – 100 Greatest Songs“. Finally, its been released in its Australian and New Zealand version. This 122 page “book” has a different cover! 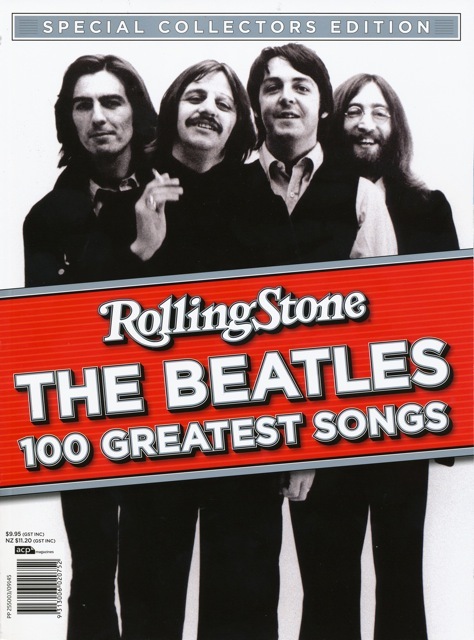 This entry was posted in Beatles, Beatles Books, Beatles Collecting, Beatles Music, Beatles Related, George Harrison, John Lennon, Paul McCartney, Ringo Starr and tagged Beatles, Beatles Books, Beatles Collecting, Beatles Rolling Stone magazine, George Harrison, John Lennon, Paul McCartney, Ringo Starr by beatlesblogger. Bookmark the permalink.